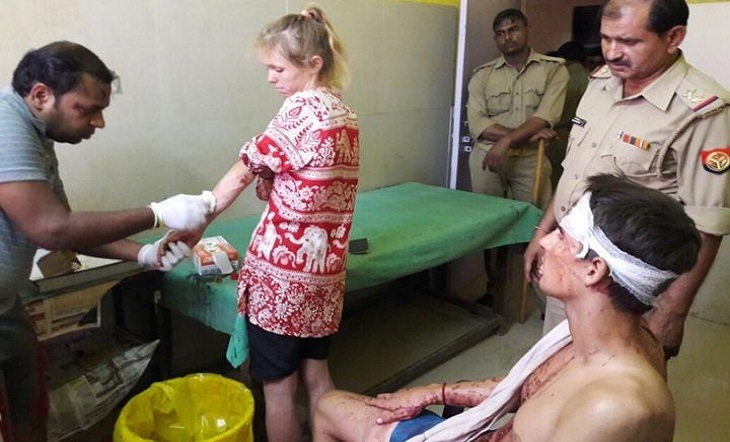 A Swiss tourist couple has been attacked in the Fatehpur Sikri attack near Taj Mahal, a popular tourist center in Agra, India. A senior police official said that four miscreants attacked the couple with the help of a counter-insurgency. The incident happened last Sunday but it is known later. Local media reported that Kointech Jeremy Clerk had a head injury and Marie Druze’s hand broke. They are now being treated in a Delhi hospital. However, no one was arrested yet in connection with the incident. Clerk ‘The Times of India’ tells the newspaper that the four people are taking pictures without the permission of him and his wife. But he forbids them to not take pictures. Meanwhile, the police are quoted as saying that they forced Ms. Droz to take shelf with them and continued to follow them for the next one hour. After that, they stabbed the couple with sticks. Both of them were seriously injured. Agra police officer Amit Pathak said the suspects were identified and will be arrested very quickly.